"Beverly (In Memoriam)," 2011, Mixed media on canvas, 16 x 28 in. Toby in the "dining room," photo by Timothy Norris. 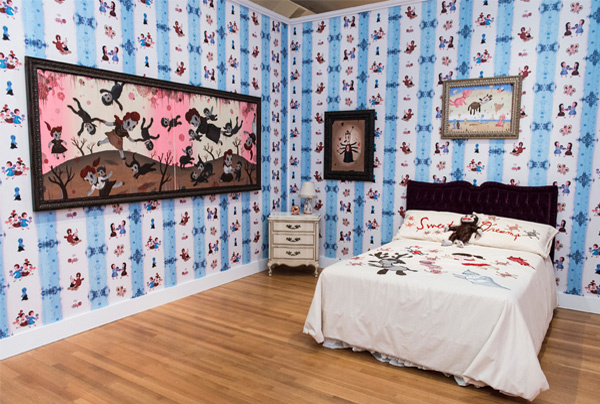 Gary Baseman's "bedroom," photo by Timothy Norris. 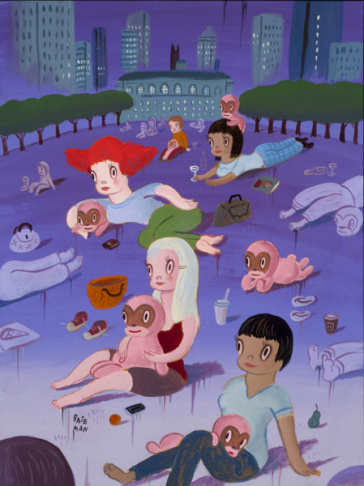 "Bryant Park (originally for The New Yorker)," 2011, Acrylic on canvas 24 x 18 in. 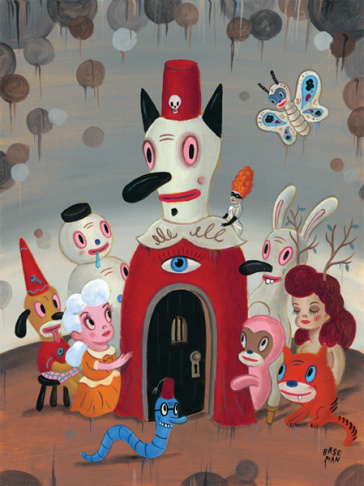 "The Door Is Always Open," 2012, Acrylic on canvas, 24 x 18 inches. 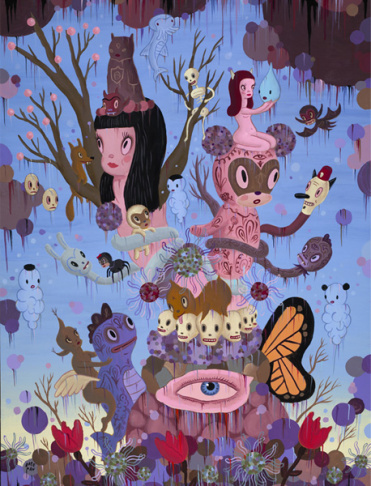 "The Explosion of Dream Reality," 2009, Acrylic on canvas, 4 x 3 ft.
Gary Baseman has been making art of all kinds for more than four decades. He got his start in the commercial art world penning colorful, cartoon like illustrations which graced the covers of major magazines. He's delved into the world of pop culture as the Emmy-award winning creator of the Disney series "Teacher's Pet" and as the designer for the characters in the Hasbro board game Cranium. 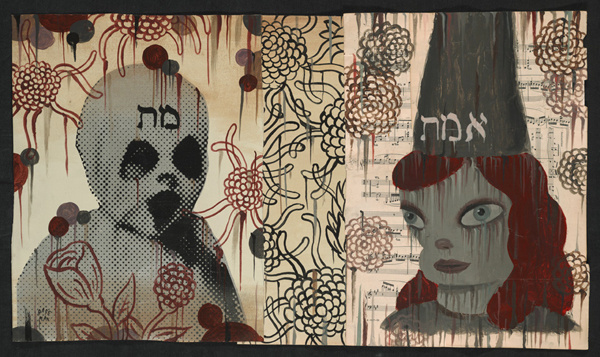 Recently, the LA-based artist has been finding deeper meaning in his work as he focuses on his parents' past as Holocaust survivors. 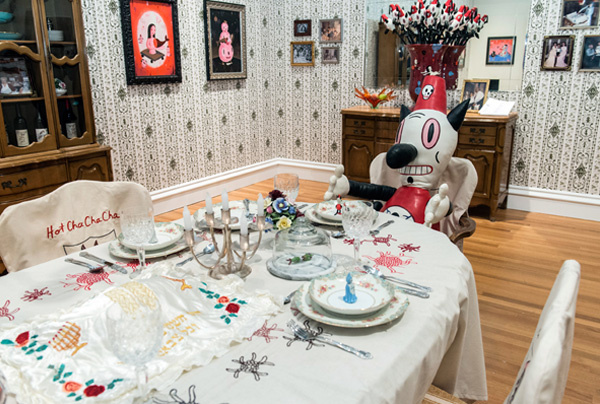 The various stages of Gary Baseman's life and career are now on display at the Skirball Cultural Center until August 18. 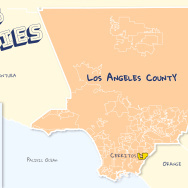 Alex recently spent some time with the artist there and brings us this report. "I don’t remember a time in my life where I didn’t draw. It's the way I've always communicated and got out my emotions and feelings and views of the world…I felt like at first, I was so bombarded by pop-culture and everything and being around all these teenagers, the Beatles, the Who, Animals and — boom — they all left. I had so much I needed to get out and this coffee table, where I would sit down and I would be drawing all the time. In fact, one of my cousins Shirley said she thought I had an emotional problem because she saw me sitting by myself drawing all the time and I didn’t think so. 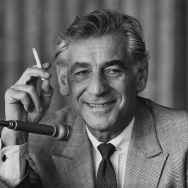 I thought I was a very social kid, outside and playing." "When people would come to my real home, its like a mini version of Disneyland because I have a lot of costumes, heads, and old mannequin heads and advertising displays and wood-jointed toys. I like having my inspiration around me and people would come with such a big smile and I was like this is what I want. "I want to create a home where people can come through and feel relaxed and they can sit on my sofas and engage with the work. I want people to understand the artwork, I don’t want them to feel like they need 200 years of college to be able to comprehend a little bit of what this is all about. To me art is important because it is about us, its about the human condition, its about our frailties, our beauty and for me all my art I s about celebrating the bitter sweetness of life." "My mom just passed away in October, but I was hoping that she would be around to see this show. My parents were married for 63 years. I have this exhibition called “The Door Is Always Open," and this is the first time in my life that my parents home isn’t open. That with my mom passing, that home that they lived in 43 years is no more, so I took their furniture, not knowing what to do. It's all very kitschy '50s furniture and I said I'm bringing it into here as a way to honor them. Besides the last couple years, a lot of my body of work is about telling their story."